Furthermore I was born in Switzerland. 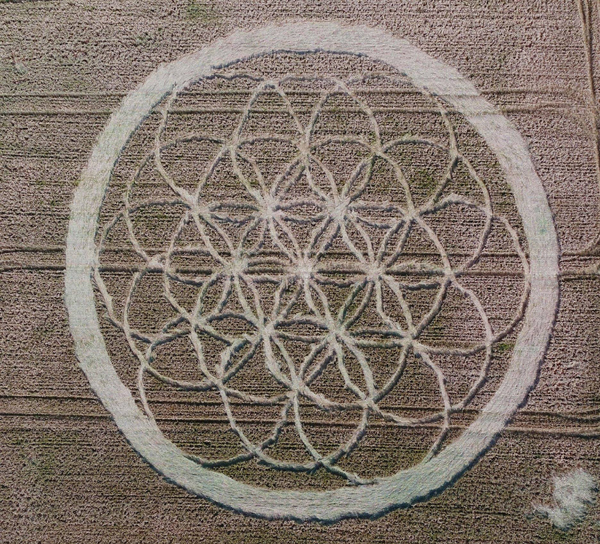 More information on my Youtube channel, my blogs and my comments on Crop circle connector. 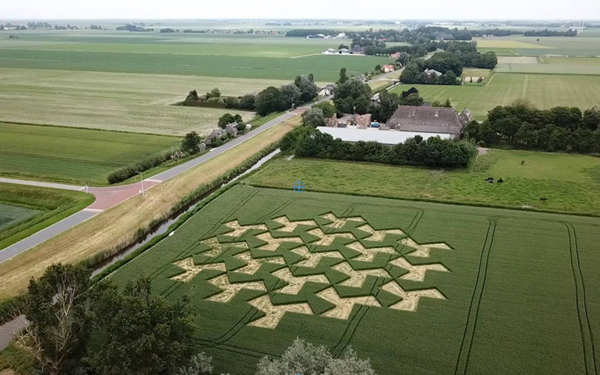 A friend of mine had seen it from the train on 19 & 20 October 2018. 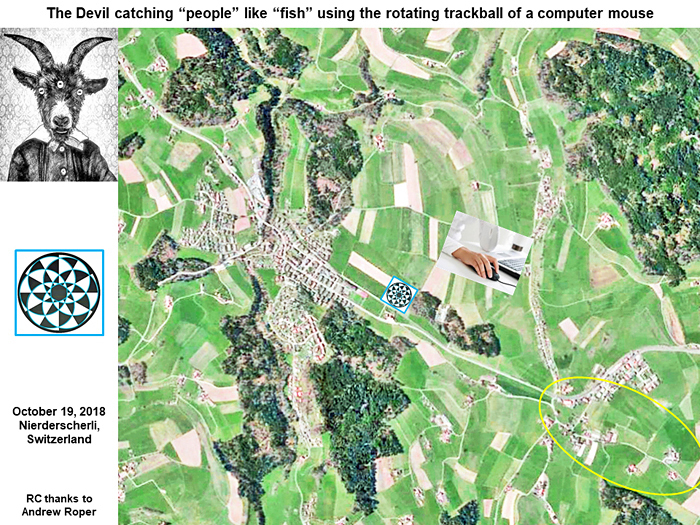 The exact location was - coming from Bern - shortly before Niederscherli in the "Eybode". On the 24th she had passed again, but then the meadow had probably already been mowed. At the end, he says that he wants to ask money to go in the United Kingdom next year 2019. 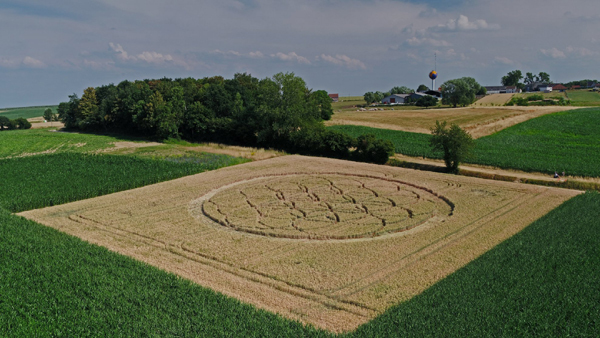 His friends and he who are the authors of the crop circle fake at Sarraltroff 2018, want to make other fake crop circles with crop circles makers of your country ! 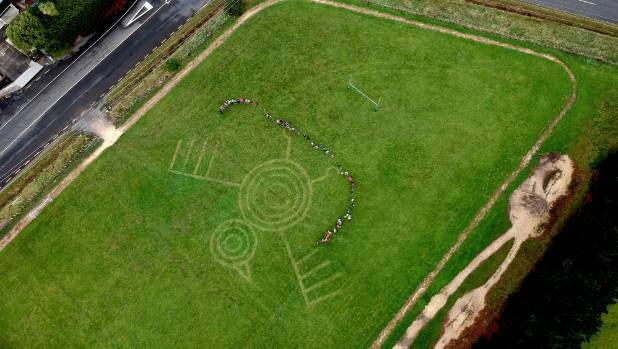 He is angry and says that the opposants (Umberto Molinaro for example) who say that some crop circles are from an ET origin will must have the Veca report of the French Gilles Munsch in their hands to study the crop circles in UK ! 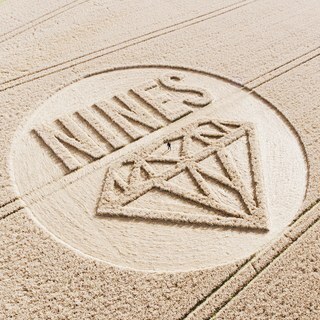 I think that these French crop circle makers doesn't want to study scientifically the crop circle phenomenon with serenity and respect for the nature, for the searchers, for the states (France and United Kingdom) and for some victims who need that the journalists and the politicians say the truth about the extraterrestrial criminal activities on Earth (abductions, cattle mutilations, ...) ! 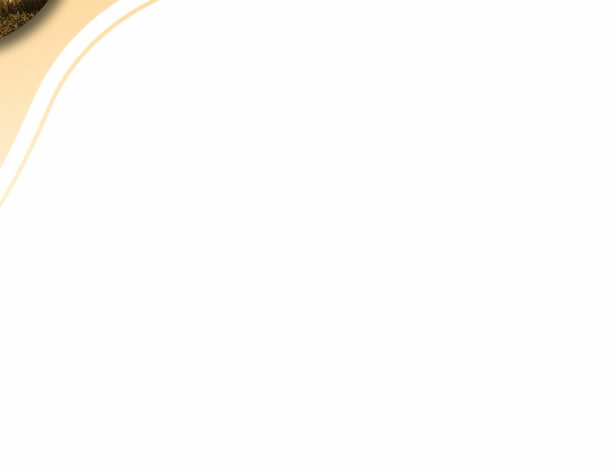 down to show us the similarity between the 2 motifs). 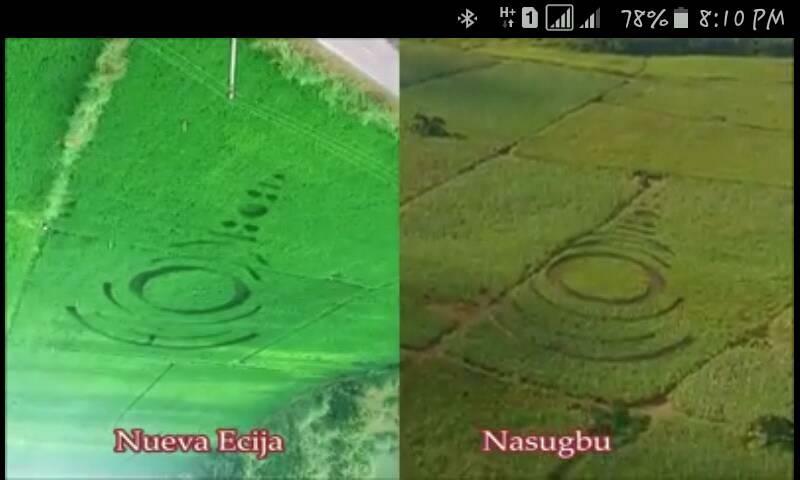 Both crop circles reported successively 4th and 5th August 2018 at Nueva Ecija and Nasugbu are made by the ET invaders directed by the new messiah Jesus omega. 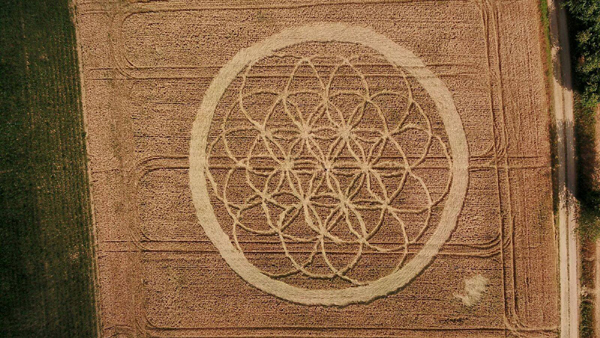 This ET Gray is the author of the crop circle reported at Reigate Hill 19th July 2016. I understand ET/Italy (for the Vatican). NUEVA ECIJA may suggest NUEVO JC. NASUGBU may suggest GESU AB UN (Jesus-Christ Father Unity). However I think that the true divine Origin of the Universe, the Source, is a Mother or Mother-Father and that Jesus-christ is not his divine son. I give the alert about these bad aliens since 10 years. They abduct people and kill cattle. 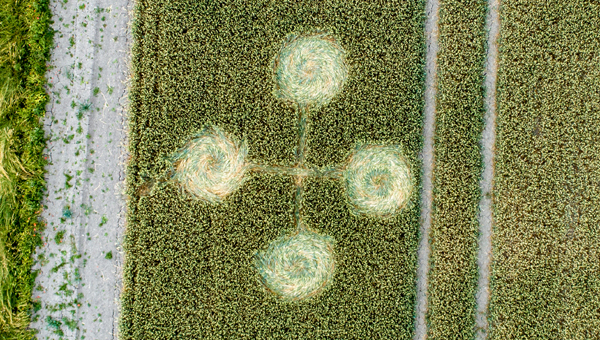 Another group of ETs makes also crop circles with unknown technologies. More information on my blog OLCPIE : http://olcpie.centerblog.net and in my comments on your website. 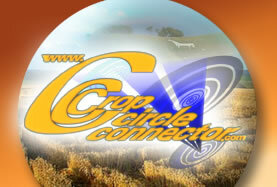 I can't prove who has killed this animal in this crop circle but I suppose that these ET aliens of "God" are the killers (go to time 4 minutes 9 seconds) : WATCH On this website, there is the photography of an animal found killed "burned" in a crop circle reported at Estevan, Saskatchewan, Canada in 1989 : Crop_Circles I take the risk to do sometimes an error about the crop circles for the preservation of the life ! Jean-Charles Bourquin, Kalki Lille, France, 6th September, 2018. Cascina Geronima/Virle 2018, new crop circle in Italy made by Francesco Grassi and his team at Giuseppe Chiaretta's farm, Cascina Geronima, Italy, Piedmont. 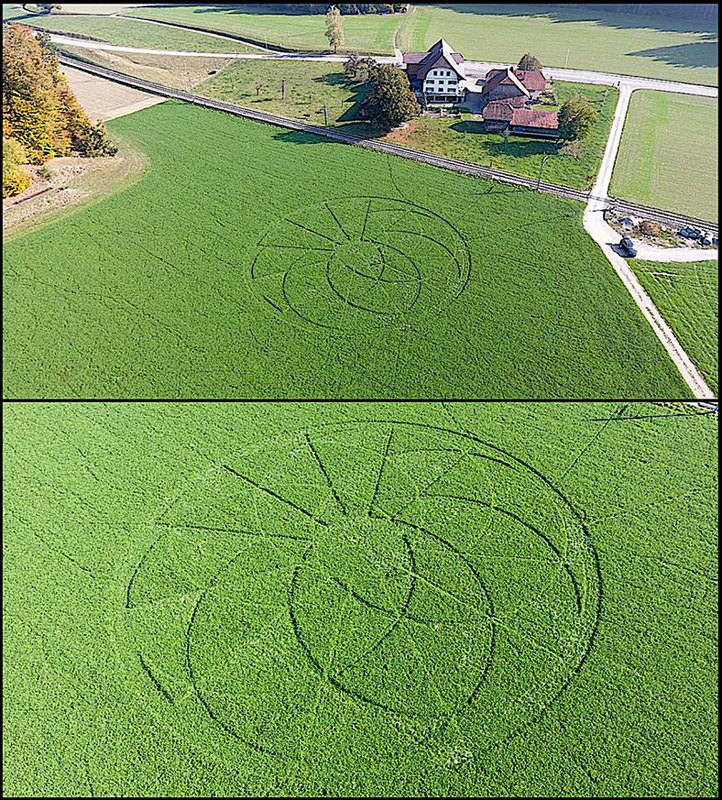 This crop circle had been created during the night between June 16 and June 17 2018. Thanks to Giuseppe Chiaretta (Cascina Geronima). 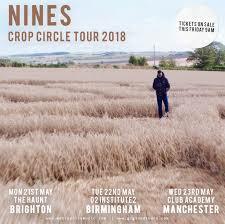 Crop Circle made Summer 2017 ?? ?